Posted on March 12, 2019	by Richard J. Reibstein, Esq. Yesterday, the first $100-million settlement of an independent contractor misclassification case suddenly became a $20-million deal, but on the same day a nine-figure settlement in another case took its place. As reported in our blog post on April 22, 2016, Uber Technologies had reached a $100-million proposed settlement with about 385,000 drivers in California and Massachusetts; $84 million was guaranteed and another $16 million would be added if Uber went public and achieved a certain valuation within its first year after an initial public offering. But that settlement proposal was rejected by a federal district court judge on August 18, 2016, as we reported in our post that day, because the amount allocated to the drivers’ Private Attorneys General Act (PAGA) claim was regarded by the judge as inadequate. Yesterday, Uber and a much smaller class of 13,600 drivers who had opted out of the arbitration provisions in the Uber driver agreement reached a proposed settlement in the same case for $20 million along with certain non-economic benefits to drivers. O’Connor v. Uber Technologies, Inc., No. 15-cv-262 (N.D. Cal. Mar. 11, 2019). This seems like a rather large reduction, and it is, but the amount per class member rose exponentially. But on the same day this former $100 million settlement was replaced by a lower amount, another $100 million IC misclassification settlement was reached between Swift Transportation Co. and approximately 20,000 owner-operator drivers who entered into independent contractor agreements with Swift. Van Dusen v. Swift Transportation Co., Inc., No. CV 10-899 (D. Ariz. Mar. 11, 2019). The Swift lawsuit was commenced in the federal district court for Arizona over nine years ago. The class action complaint claimed that the drivers were employees of Swift who had been misclassified as ICs and were paid below the federal minimum wage level when taking into account their lease payments and costs of maintaining their trucks and paying for fuel, tolls, and insurance. The lawsuit against Swift was brought under the Fair Labor Standards Act as well as state wage and contract laws. Uber was able to trim the number of potential class members in the lawsuit from 385,000 to a small fraction of that number by including in an updated driver contract an arbitration clause with a class action waiver. Drivers were given a set period of time to opt out of the arbitration provisions, but less then 4% of the original number of drivers in the class (only 13,600 drivers) did so. The arbitration provision was was later challenged in court, but Uber was able to ultimately succeed in compelling arbitration on an individualized basis for all drivers other than the relatively small percentage who had opted out. Those drivers remained class members, and only that group is covered by the new $20 million settlement. In stark contrast, Swift was unsuccessful in seeking to compel arbitration on an individualized basis under the arbitration provisions in the drivers’ IC agreements. Swift’s arbitration clause was found unenforceable when it was held by a district court judge to be part of a “contract of employment” that is exempt from arbitration under the Federal Arbitration Act (FAA) and the Arizona Arbitration Act. This court ruling eventually led Swift to agree to the proposed settlement, even though it has vigorously denied misclassifying any owner-operators. Few would have anticipated that there would ever be a second nine-figure settlement in an IC misclassification class action. Nor would many have anticipated a few years ago that arbitration clauses would have such a major impact on the amount of the settlements in these types of cases. But in the past few years, the law of arbitration has been evolving in a manner that few could predict with certainty. In the past year alone, the U.S. Supreme Court has issued major decisions addressing arbitration clauses. Last May, the Supreme Court decided Epic Systems Corp., which upheld mandatory arbitration agreements imposed by companies. Uber used that decision to its advantage. And only two months ago the Supreme Court decided New Prime Inc. v. Oliveira, which held that the FAA’s exemption of “contracts of employment” applied not only to employees but also to independent contractors where the workers are involved in interstate transportation. The drivers in the Swift Transportation used that recent decision to their advantage. While there are both pros and cons associated with arbitration clauses, most companies have concluded that the benefits usually outweigh the detriments, and more and more businesses have implemented arbitration clauses with class action waivers in their IC agreements. But, merely having an arbitration clause with a class action waiver in an IC agreement is not a guarantee that a company will be able to forestall a class action in court by obtaining a court order compelling individual arbitrations. Plaintiffs’ class action lawyers have been successful at times in obtaining court decisions that certain arbitration agreements are unenforceable – whether because of the FAA exemption, or because the arbitration clause is found to be unconscionable, or because it has been drafted ineffectively. As we noted in our November 14, 2018 blog post entitled “How to Effectively Draft Arbitration Clauses with Class Action Waivers in IC Agreements,” there are an abundance of issues that should be considered when creating or updating arbitration agreements in independent contractor agreements (or, for that matter, in employment agreements). Does it require individual arbitrations and eliminate class arbitrations from the authority of the arbitrator? 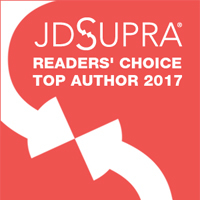 Does the arbitration agreement cover third-party beneficiaries? Does the arbitration clause’s choice of law select a state with a favorable arbitration law and an IC-friendly test? Does the agreement avoid the types of unconscionability arguments that plaintiffs’ class action lawyers routinely advance to try to invalidate an arbitration clause? Is the arbitration provision buried in the IC agreement or is it conspicuous? Is the jury trial waiver drafted in a way that will likely withstand judicial scrutiny? Is the provision that sets forth the authority of the arbitrator (sometimes referred to as the “delegation clause)” drafted in an effective and favorable manner? Are there certain types of disputes that need to be carved out of an arbitration clause by virtue of state law? Are there any disputes that are better suited for judicial resolution? Has federal or state arbitration law changed since the last time the arbitration provision with class action waiver was drafted? Should the arbitration agreement take into account any legislative bills being proposed in Congress or the state legislatures limiting or expanding arbitration? While arbitration clauses with class action waivers are being increasingly deployed by companies, they are merely a procedural defense to IC misclassification lawsuits, and do not cover proceedings by regulatory and administrative agencies, which are not bound by arbitration agreements. Substantive defenses to the merits of an IC misclassification claim are far more important. For example, as we reported in our January and February 2019 news updates, federal appellate courts have ruled on the substantive merits that insurance agents and oilfield consultants were properly classified as ICs. By elevating compliance with federal and state IC laws, companies can substantially lessen the likelihood of an IC misclassification lawsuit being filed in the first place. And, if filed, an enhanced level of compliance not only increases the likelihood of a successful defense on the merits but also leads to a less costly settlement. One way in which companies have sought to elevate their compliance with IC laws is by the use of a process such as IC Diagnostics™, which examines whether a group of workers being treated as ICs would pass the applicable tests for independent contractor status under governing state and federal laws. Such a process then offers a number of practical, alternative solutions to enhance compliance with those laws. Those alternatives include restructuring, re-documenting, and re-implementing IC relationships in a customizable and sustainable manner consistent with a company’s existing business model. Elements of this process can also be used to create a more effective defense of an IC misclassification class action. Posted on March 11, 2019	by Richard J. Reibstein, Esq. One need only glance at the court cases we report on below to understand why some businesses choose to settle independent contractor misclassification cases. Three of these cases highlight the unpredictable approaches appellate courts have taken in deciding IC misclassification cases. To illustrate, in February, one federal appellate court reversed a federal district court judge, who had held that off-duty police officers were ICs, while another reversed a district court judge who held that oilfield consultants were not ICs. A third federal appellate court this past month reversed a decision by a district court that granted a motion for judgment on the pleadings finding convenience store franchisees were ICs. The lack of certainty in the outcomes of IC misclassification lawsuits has led many companies that make use of independent contractors to embark on programs to enhance their level of IC compliance with federal and state laws. Programs such as IC Diagnostics™ offer a process to elevate compliance with IC laws by restructuring, re-documenting, and re-implementing independent contractor relationships without altering a company’s underlying business model. Not all IC relationships are sustainable under applicable IC laws, but most are – and can be adjusted in a customized manner to comply with federal and almost all state laws. In past monthly news updates, we reported on a number of cases that involved arbitrations of IC misclassification class actions. Surprisingly, none of the eight cases that came to our attention in February deal with arbitration issues. While arbitration clauses with class action waivers are not a panacea for companies utilizing ICs, part of the IC Diagnostics process includes adding a state-of-the art arbitration clause that is likely to be effective in overcoming anticipated challenges by plaintiffs’ class action lawyers. On appeal, the Sixth Circuit applied the six-factor “economic reality” test and concluded with respect to the first five factors that the services offered by ODPS’s workers are integral to the company; the services do not require the skill or training of a licensed police officer; there is limited investment in specialized equipment; the length and consistency of the relationship between ODPS and the workers suggests permanence; and there was no opportunity for profit because the workers earned set wages to perform low-skilled jobs for fixed periods of time and could not make earn more profit by managing different commitments. Those five factors favored employee status for both the sworn and nonsworn officers. The court held that the sixth factor, ODPS’s right to control the manner of the worker’s performance, favored employee status for the nonsworn officers but did not favor either IC or employee status for the sworn officers. Considering all of the six factors “with an eye on the ultimate question of economic dependence,” the court decided that all of the officers were employees entitled to overtime wages under the FLSA. Acosta v. Off Duty Police Services, Inc., Nos. 17-5995/6071 (6th Cir. Feb. 12, 2019). OILFIELD CONSULTANTS HELD TO BE INDEPENDENT CONTRACTORS BY FIFTH CIRCUIT. Directional drilling consultants filed a Fair Labor Standards Act overtime claim against Premier Directional Drilling L.P. based on their claim that the company had misclassified them as independent contractors instead of employees. The district court granted summary judgment in favor of the consultants, concluding they were employees under the FLSA. On appeal, however, the U.S. Court of Appeals for the Fifth Circuit reversed and held as a matter of law that the consultants had been properly classified by the company as independent contractors. The Fifth Circuit closely examined the undisputed facts in the record and disagreed with the district court with regard to which factors support the independent contractor classification and which favor employee status. The Fifth Circuit took issue with the district court’s evaluation of five key factors considered by the court in determining employee / independent contractor status. As to the first factor – degree of control – the Fifth Circuit found it favored IC status because, although the directional drilling consultant was required to work prescribed shifts and coordinate drilling projects with the company’s personnel, the consultant’s right to accept or reject a project, was more meaningful and demonstrated an overall lack of control. Regarding the second factor – the relative investments of the consultant and the company – the court found that factor “merits little weight in light of the other summary-judgment record evidence supporting IC-status.” The appellate court next considered the worker’s opportunity for profit and risk of loss, and concluded that the consultant’s work on his goat farm when not providing services to Premier favored IC status and was more persuasive than the restriction on subcontracting imposed by Premier. With regard to the fourth factor, skill and initiative, the Fifth Circuit found the consultant was highly skilled, thereby favoring IC status. The final factor considered – the permanency of the relationship – also favored IC status because the work was contracted on a project-by-project basis, even though the consultant chose to provide services only to Premier. Finally, the Fifth Circuit considered other factors bearing on IC status, including the presence of an express IC agreement and industry standards that demonstrated that the consultants were regarded as ICs in the industry, even though Premier also employed directional drilling employees doing similar work. The appellate court thus concluded the applicable factors supported independent contractor status. Parrish v. Premier Directional Drilling, L.P., No. 17-51089 (5th Cir. Feb. 28, 2019). FRANCHISEE’S IC MISCLASSIFICATION CLASS ACTION RETURNED TO TRIAL COURT ON APPEAL. A three-judge panel of the U.S. Court of Appeals for the Ninth Circuit issued a decision involving a nationwide convenience store franchise case where four franchisees alleged that they were employees of the franchisor and not independent contractors. The appellate court vacated and remanded to the district court the franchisees’ claims under the Fair Labor Standards Act and California Labor Code after the district court had dismissed on a motion to dismiss on the pleadings. The Ninth Circuit ruled the district court erroneously “considered the persuasiveness of the plaintiffs’ factual allegations rather than the plausibility of the plaintiffs’ legal claims,” but it did not provide any detail to explain the semantic differentiation of the words we italicized above. It also criticized the district court for having “focused on the franchise agreement without considering the plaintiffs’ allegations regarding [the franchisor’s] actual control,” but chose not to explain which allegations of control it regarded as warranting reversal. The Ninth Circuit specifically noted that its decision was “without prejudice to [the franchisor] seeking judgment as a matter of law at a later stage in the proceedings.” This decision highlights the difficulty in succeeding not only before a district court but also an appellate forum when seeking to dismiss an IC misclassification case on the pleadings; unless it is implausible, even an otherwise unfounded allegation must be construed in “the light most favorable to [the non-moving party].”. Haitayan v. 7-Eleven, Inc., No. 18-55462 (9th Cir. Feb. 27, 2019). LOGISTICS COMPANY UNABLE TO DISMISS DRIVER’S LAWSUIT FOR DISCRIMINATION; COURT FINDS ALLEGATIONS DO NOT FAVOR IC STATUS. A former driver for logistics services provider, RR Donnelley Logistics Services, may continue his discriminatory discharge action against the company under Title VII of the Civil Rights Act and the Age Discrimination in Employment Act despite being classified by the company as an IC. An Alabama federal court denied the company’s motion to dismiss and summary judgment motions, rejecting the company’s argument that the driver was an independent contractor and not an employee. The court found that the driver established facts that would allow him to prove that he was an employee for purposes of Title VII and the ADEA, including that his work was supervised; delivery routes were selected for and assigned to him; he was required to use a company-furnished “Real Time Delivery Program” on his phone; and a supervisor had the power to discharge him. The court also denied the company’s motion for summary judgment because of disputed issues of fact concerning the degree of control the company exercised over the driver’s work, such as copies of e-mails and text messages referring to “payday” being on certain days of the month, a request by his supervisor for his photo on an ID badge, and a demand that the driver appear for a drug test. In denying the motion for summary judgment, the court also concluded that although the IC agreement signed by the driver contained independent contractor-centric terms, the driver provided information that, in practice, business operations may not have transpired consistent with the contract. Nemo v. RR Donnelley Logistics Services, No. 17-cv-02130 (N.D. Ala. Feb. 8, 2019). COURT APPROVES $9 MILLION IC MISCLASSIFICATION CLASS ACTION SETTLEMENT BY BAKED GOODS COMPANY WITH ITS DISTRIBUTORS. A Tennessee federal judge has approved a settlement of $9 million between baked goods company, Flowers Foods Inc., and about 900 distributors of their bakery products in resolution of a Fair Labor Standards Act collective action alleging the distributors had been misclassified as independent contractors. Flowers Foods is one of the largest producers of packaged bakery foods in the United States, including brands such as Wonder Bread, Tastykake, Sunbeam and Nature’s Own. Following mediation that encompassed 12 different misclassification lawsuits involving the company (and its related entities) and distributors in Alabama, Kentucky, Texas, Mississippi, North Carolina, Tennessee, Virginia and Missouri, the parties entered into a Global Settlement Agreement and Release. The $9 million settlement provides $3.6 million in attorney’s fees and $5.4 million for the named plaintiffs and settlement class members, depending on the amount of time they worked for the company. Green v. Flowers Foods Inc., No. 19-cv-01021 (W. D. Tenn. Feb. 27, 2019). WELL AND DRILL SITE MANAGERS REACH $3.2 MILLION SETTLEMENT WITH OIL GIANT IN IC MISCLASSIFICATION CLASS ACTION. Well and drill site managers providing services in states including California, Texas, New Mexico and Oklahoma, have reached a $3.2 million settlement with Chevron Corporation in a proposed class and collective action alleging FLSA and state wage and hour violations due to the managers’ misclassification as independent contractors and not employees. According to the amended class and collective action complaint, Chevron directed the work of the site managers through the company’s policies, practices, supervision, and ability to discipline the managers; the managers worked exclusively for Chevron on a full-time and continuing basis; the managers did not sell or advertise their services to the general public and were required to follow Chevron’s instructions and processes regarding the method by which work was to be performed; and Chevron set the managers’ work schedules, determined the their rates of pay, provided the equipment needed to perform the work (including laptops, uniforms and email addresses), and required daily reports and attendance at meetings. Plaintiffs’ motion papers requesting approval of the settlement note that the site managers were not directly employed by Chevron, but rather were paid through a variety of third-party staffing companies, and that they worked 12-hour shifts, sometimes for fourteen consecutive days. They claimed to have been paid a day rate, but did not receive overtime compensation. Under the terms of the settlement, in which Chevron denied any liability, each member of the class group will receive an average of over $29,000, and attorneys’ fees are earmarked for 25% of the of the settlement amount. McQueen v. Chevron Corp., 16-cv-02089 (N.D. Cal. Feb. 8, 2019). DIRECTV INSTALLATION PROVIDER SUED BY TECHNICIANS IN IC MISCLASSIFICATION CLASS ACTION. Installation technicians have filed a collective and class action complaint against Synergies3 TEC Services, LLC, a satellite television installation provider for DirecTV, alleging violations of state (Illinois and Missouri) and federal (FLSA) overtime laws due to their alleged misclassification as independent contractors and not employees. According to the complaint, the installation technicians were subject to direction and control by the company as they were required to follow the company’s instructions, processes, and policies regarding the methods by which work was to be completed; were supervised and required to use specific apps to open and close orders; could not sell or advertise their services to the general public or work for other companies; were required to attend meetings and communicate any changes in their work schedule/hours to the company in advance ; were subject to discipline by the company for failure to follow the company’s standards, policies and procedures; and were not permitted to negotiate rates of pay or determine or set their own schedules. Jackson v. Synergies3 TEC Services, LLC, No. 4:19-cv-00178 (E.D. Mo. Feb. 4, 2019). DENTAL CARE COMPANY SUED FOR IC MISCLASSIFICATION BY DENTIST. An Illinois dentist has reportedly sued Bright Dental Care P.C. d/b/a Smile Dental Care and others in state court alleging breach of contract and violations of the Illinois Wage Payment and Collection Act due to his alleged misclassification as an independent contractor and not an employee. According to the Cook County Record published on February 20, 2019, the dentist claims he is owed over $65,000 plus 45 percent of the fees collected by the defendants for work he performed. Despite that parties’ agreement, the dentist reportedly alleges that the defendants failed to pay him for all of his work, including his final compensation and wages required by the Illinois statute. Salem v. Bright Dental Care P.C., No. 2019L001584 (Cook County Cir. Ct. Ill. Feb. 13, 2019).